The board of ARC Investments brings a wealth of experience. Their duties are final oversight and responsibility in respect of the business, making decisions in relation to settling all expenses due by ARC Investments and declaring dividends. ARC Investment’s mandate is to build a Black-owned and controlled investment holding company by investing in attractive empowerment stakes across industries. We make a meaningful difference in the lives of ordinary South Africans through our broadbased BEE shareholders. B-BBEE is a framework for redistributing wealth to uplift poor, marginalised and disadvantaged communities with the aim of eradicating the systematic injustices of the past. The result is transformation that affects the political, economic and social aspects of the lives of South Africans. Our public benefit activities include supporting organisations that focus on health care for vulnerable communities, education and development, women and youth groups, sport, culture, and social upliftment. We work closely with the companies we have invested in to fulfil this mandate. With Sinayo Securities, an emerging securities brokerage firm that is majority owned by women, we support Project Funda. This is a structured training program that seeks to accelerate and develop financial services skills for Black graduates to fast-track them to become valuable contributors to their teams and companies. Alternative Prosperity (AP) is 51% Black-owned business of which the Apros Foundation owns 17.5%. AP works in the fields of Transformation/B-BBEE, Sustainable Development and Responsible Investment. Its focus is on developing Black leaders who drive nationbuilding and transformation agendas. The first phase of realising this vision was the accumulation of capital by UBI in partnership with Sanlam as its broad based Black economic empowerment shareholder. Since its inception, ARC has executed on a significant number of investments to date and has built a portfolio valued at c R5.4 billion. 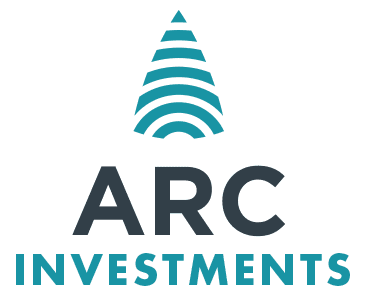 ARC Investments is a capital raising and investment entity incorporated under the laws of Mauritius. It is managed in Mauritius and holds a Category One Global Business Licence issued by the FSC. It was listed on the JSE on 7 September 2017.